We are in Delta Utah, a small town on the eastern edge of the Loneliest Road in America – the section of Highway 50 that goes through Nevada and western Utah. 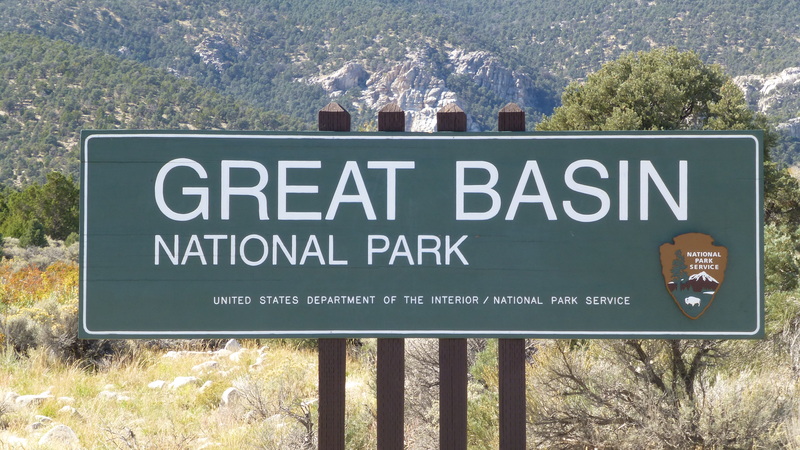 We drove the lonely road 109 miles to Great Basin National Park, one of the least visited National Parks in the country due to its isolation. 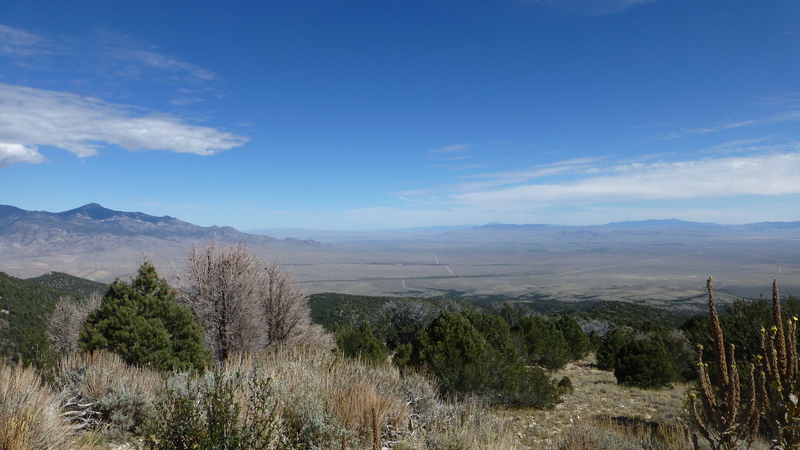 We drove across the great basin towards the park containing Wheeler Peak and Lehman Caves and it was well worth the trip. 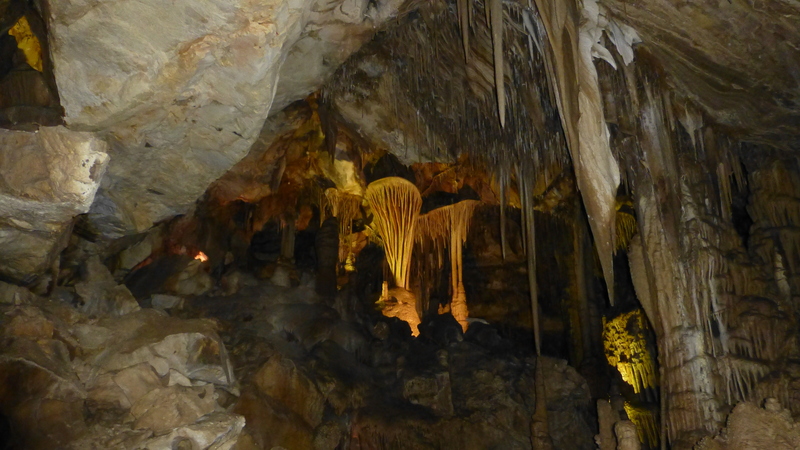 This cave is visually spectacular and it is very intimate in that you are right next to the formations. Along the road we observed arrays, spaced one kilometer apart over 730 square kilometers, that are part of the Cosmic Telescope Array. This project is way too complicated for me to understand and explain but it aims to spot energetic subatomic particles from space. It is a cooperative project among physicists from Utah State, Rutgers and universities in Japan and Korea. There is a small visitor center here in Delta. Who knew? 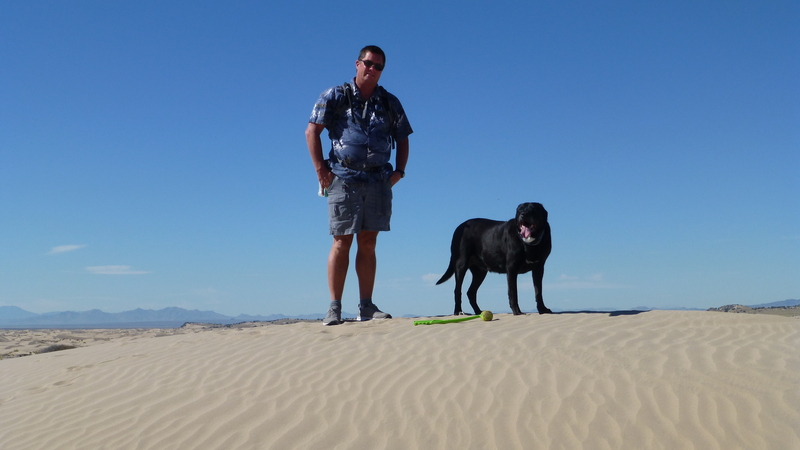 Heading northeast from Delta we visited the Little Sahara National Recreation area. We went there during the week so we only had to share the dunes with a few riders on 4 wheelers and motorcycles. Elko loved chasing his ball in the sand. Reportedly the place is really rolling on the weekends! We watched some riders going straight up, and straight down very large dunes. I was just as happy that we had no opportunity to rent a vehicle at the park because Randy would have been wanting to ride the dunes too. Back in town we have had a mixed bag. .. 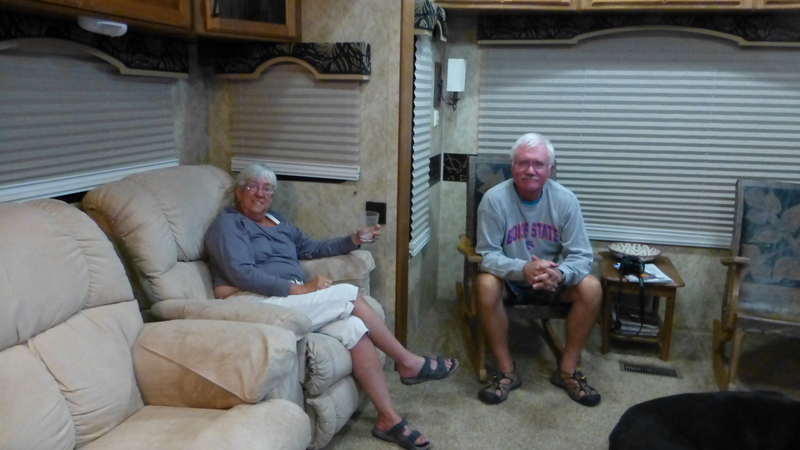 The highlight was a visit by Kent and Pam, last seen in Colorado Springs for the football game. They went from Colorado Springs to Sedona, Arizona and then stopped in Delta to spend the evening with us on their return trip to Boise. The lowlight was speculation that we have had a mouse. One of Randy’s new tank sensors stopped working right before we left Boise and early this week he got under the trailer to investigate. Instead of the wiring harness, he found wire pieces that look like they have been chewed. That initiated more than a few unhappy moments for me and we have done quite a bit of mouse hunting and mouse prevention. There is no evidence that the mouse came with us from Boise or that he got in the living space but Randy went above and beyond to try and mouse proof the trailer as best we can. Our trailer storage spaces smell great with lots of peppermint and tree oils! 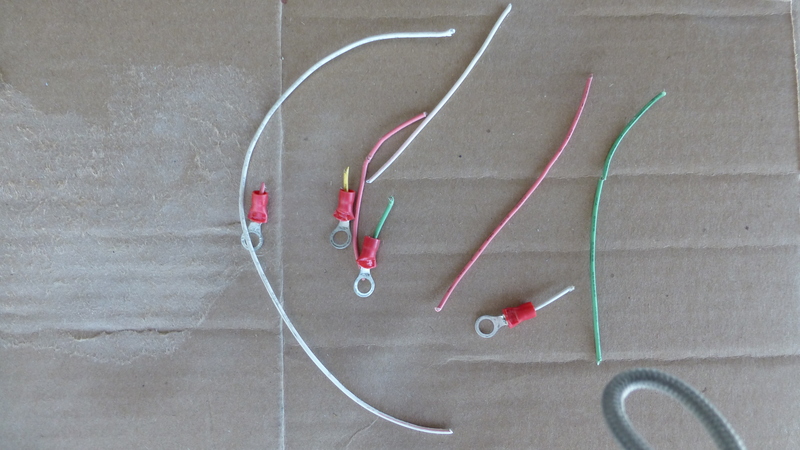 We were able to buy the obscure wiring harness (for the sensor) and all the mouse proofing supplies on Amazon. It is amazing what you can order on Amazon Prime and have delivered in less than two days by UPS and Fedex on the eastern edge of the Loneliest Road in America! 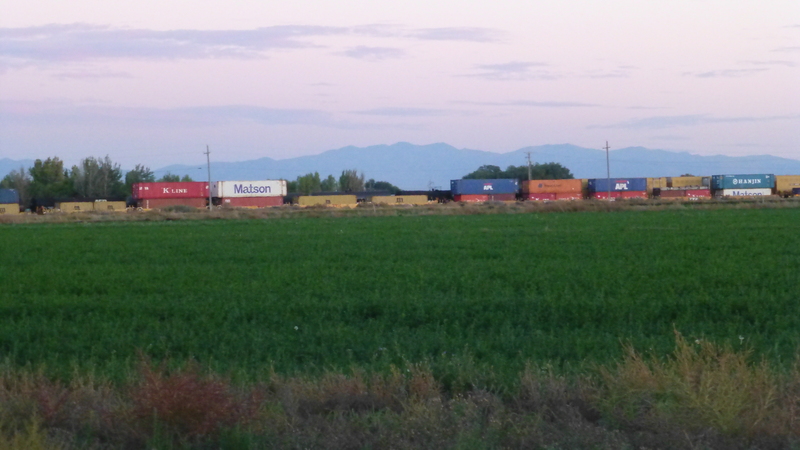 We have really enjoyed the trains that we can see and hear across the field many times during the day and night. We saw and liked the movie, The 100 Foot Journey. We rode our bikes into town several times to eat at a yummy Mexican restaurant, to go to the hardware store (more anti-mouse supplies), and to visit the Great Basin Museum. Very nice. I went to Great Basin Park back in the 1980’s– would like to get back there some time. Those must be some very tough mice eating wires– I have heard of marmots chewing on fan belts and radiator hoses in cars, but not wires. Their teeth will be green from the copper. We are currently in Frenchglenn, OR– perhaps as remote as Great Basin. You should add this place to your itinerary, if you haven’t already been here. We were just talking about Frenchglen the other day. It seems there was an old hotel. Is that where you are? I love your travel posts! Makes me long for the open road. I never realized how hectic and crazy it would be being the mom of a senior girl in high school. At least I am not trying to juggle work along with this intensity!